We educate, organize, and empower tenants to have a voice in the decisions that affect the affordability and availability of safe, decent & accessible housing. The Metropolitan Tenants Organization is a membership organization made up of tenants, tenant organizations, community members and groups who support the mission of MTO. 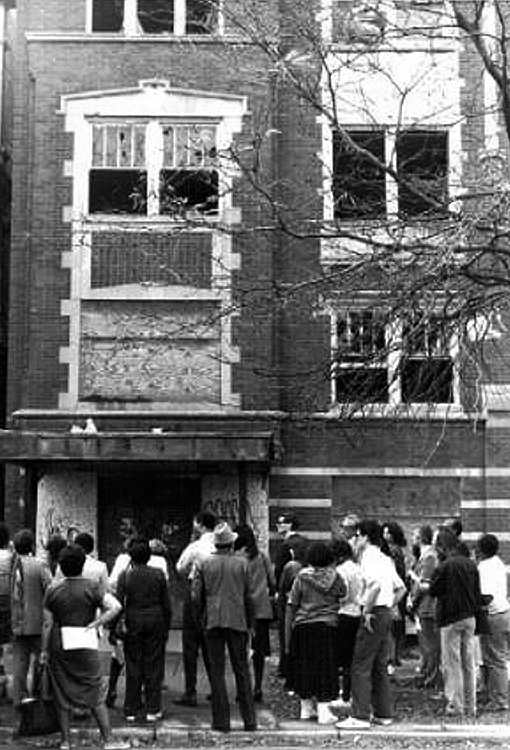 The Metropolitan Tenants Organization (MTO) is rooted in a 1981 Community Congress convened to find workable solutions to the affordable housing crisis at the time. The Congress recognized that Chicago needed a citywide organization to represent tenants. It led to a 5-year campaign to pass Chicago's landmark Residential Landlord and Tenant Ordinance (RLTO) and the founding of MTO. Passage of the RLTO is a watershed event in MTO's history. 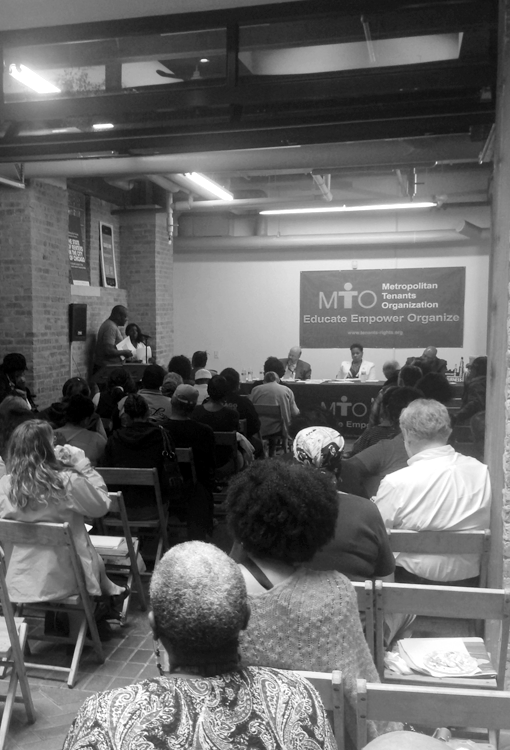 Since the passage of the RLTO, MTO has remained committed to the mission of educating, organizing and empowering tenants to have a voice in the decisions that effect the availability and affordability of safe and decent housing. Our primary goals are to better tenants' living conditions and preserve housing, stabilize tenancies and prevent homelessness and improve communication between landlords and tenants. MTO believes that there are 4 key elements to Housing Justice. Housing must be Affordable, Stable, Habitable and Accessible. Affordable means that no one should have to spend all their income on housing. Individuals and families still need resources for food, clothing, education, and more. No one should have to choose between buying food or paying rent. Affordability can be accomplished through controls on rent, increases in subsidies and investment in low- and moderate income housing. Stable means knowing that when problems arise, one’s home will not be at risk. For many, the loss of a paycheck or a sudden illness can mean the loss of home. Nor should anyone lose their home just because someone with more resources wishes to move into their neighborhood. Neighborhood development should protect affordable housing especially for people with lower incomes. Stability can be accomplished through Just Cause Eviction Ordinances, limits on gentrification, and emergency subsidies. Accessible means that people should have quality choices to determine where their homes will be. People with disabilities, criminal records, families with children, and seniors all deserve to live in areas that have economic opportunity and safety. Accessibility can be accomplished through more protective fair housing laws preventing discrimination, easier to use subsidy programs and modifying and building housing available to people with disabilities. Habitable means housing should be decent. We all need homes that are safe and well-maintained. This means homes are dry, ventilated, pest-free, clean, and contaminate free. Habitability can be accomplished through pre-emptive building inspection programs, subsidies and investment in housing maintenance. Housing stability is crucial to any efforts to stabilize our communities and our workforce. Thus rental housing must be a key element of any affordable housing plan. Our programs are the building blocks that enable us to organize and empower tenants to have a voice in the decisions that affect the affordability and availability of safe, decent and accessible housing. 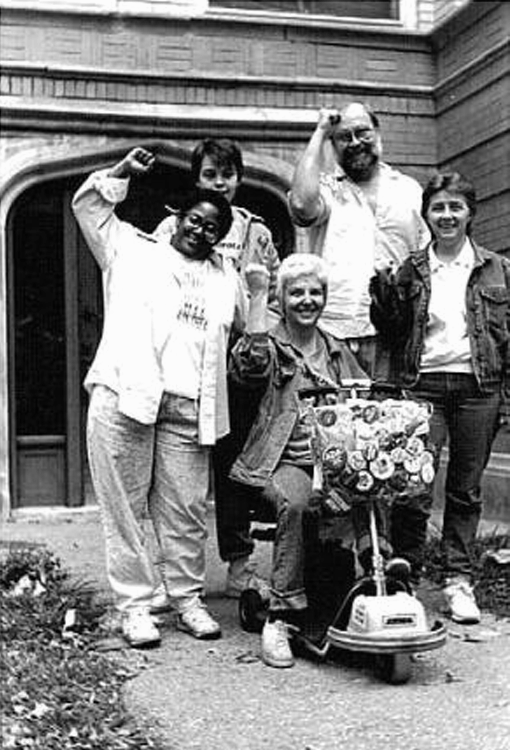 Tenant associations have a long history of creating better circumstances for all renters. Organizing broadens an individual tenant's influence and power. Working with other people facing similar problems offers the best hope for changing the world in which we live and improving our lives and the lives of those around us. MTO continually works to strengthen rental laws and create better tenant protections by advocating for new and improved legislation on both the local, state and federal level. MTO's Advocacy Board facilitates, oversees, and organizes efforts to make housing a human right. 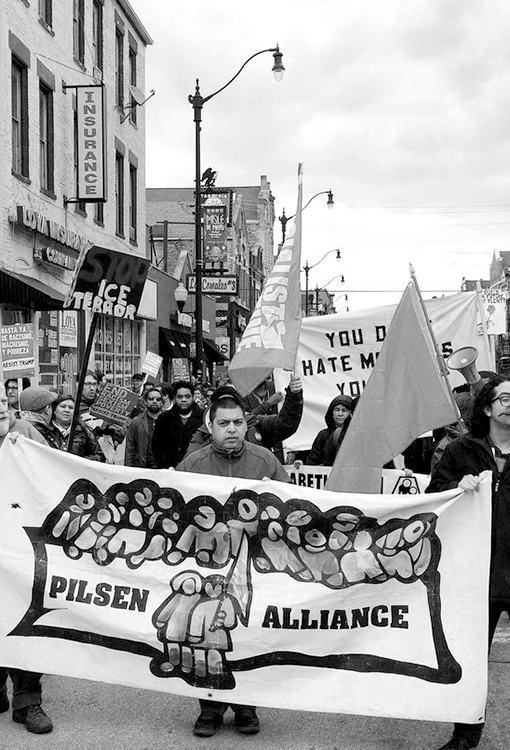 The Advocacy Board promotes and builds campaigns that confront power and win back our human rights to housing, health, education, jobs and the ability to organize.